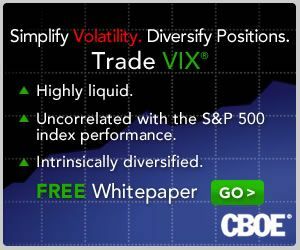 Stocks may be in the process of putting in a bottom, but with the VIX hitting 31.06 yesterday at the same time VIX futures were setting new volume records, investor fear and anxiety is as high as it has been since the 2011 European sovereign debt crisis. As the VIX and More Fear Poll results reflect, the current situation is particularly difficult for investors to grapple with because there is so much disagreement about what the biggest worry is and how some of these fears may be connected. In the chart below, I have summarized the almost 400 votes from some 35 countries, with the U.S. accounting for 65% of all respondents. It is worth noting that the responses appear to be somewhat headline driven, as yesterday Ebola topped the list of worries, only to be supplanted by concerns about the impact of the Fed ending quantitative easing and in so doing removing the safety net that has helped keep liquidity high, volatility low and investors more confident. I also find it particularly interesting that “market technical factors (breach of support, end of trend, weak internals, etc. )” are so important to a broad range of investors, which raises the question of whether technicals are more of a cause or effect in the recent downturn. Looking at global economic weakness, slightly more investors expressed concern about the U.S. economy than that of the euro zone, with concerns about the Chinese economy a distant third. In these types of polls, I am always interested to see how U.S. respondents differ from those outside of the U.S. In the current market environment, U.S. respondents tend to place more emphasis on the weak U.S. economy and the Ebola virus, while paying less attention to currency issues and China. Some of the detailed results certainly have a whiff of provincialism, yet it remains to be seen whether the global or Americentric perspective does a better job of honing in on what to focus on – a subject I will delve into at a later date. For those who might be interested in the results of prior VIX and More Fear Poll data, the links below should be a helpful reference. Last but not least, many thanks to everyone who participated in this poll, which I intend to periodically reprise as market conditions warrant. Every time there is a pullback, it seems as if I receive multiple requests for an updated version of the table below. With the S&P 500 index reeling and still trying to find a bottom, this looks like a good time to put the current pullback in the context of the 27 most significant peak-to-trough declines from new highs since the SPX bottomed in March 2009. Note that the current 6.4% decline from the September 19th high of 2019 is roughly average in terms of duration, but makes it the second largest pullback in percentage terms since 2012, just eclipsing the January-February 2014 pullback, when emerging markets (EEM) and Crimea were weighing heavily on the minds of investors. Keep in mind that as ugly has things have been in the SPX, the Russell 2000 small cap index (RUT) is down 13.8% since topping out in early July, while the NASDAQ composite index is down 8.5% since its mid-September top. Of course, some sectors have been hit even harder, with oil and gas exploration and production (XOP) down 33.3% from its 2014 high. Semiconductors (SMH) have declined 14.4% from their 2014 high, yet that high was established less than a month ago. There is never an easy answer to the question of whether this has been enough pain to warrant a bottom, but after the events of the past week, all sorts of extreme scenarios now seem much more plausible. My father passed away this summer and in the intervening period I set aside my media hat. Before I formally return to the media space, I want to use this space to talk a little bit about my father. My father was an eccentric man and sometimes a complete enigma even to those who were closest to him. For instance, while we share the same name, he insists that I was named not after him but his uncle Bill, who was a baseball player in his earlier years and later became coach, attorney and a judge. My father followed his uncle into the legal field, with his own twist, carving out his own niche as a modern-day country lawyer and advisor. Outside of family and work matters, sailing, quantum physics and jazz were the three things my father was most passionate about. While part of the appeal of sailing was no doubt the escapist aspect of charting one’s one course – my father’s own moveable island – I have often thought that more than 90% of our father-son relationship and peer-to-peer relationship was formed while sailing together from Long Island Sound to Down East Maine. One particular trip that I often think about was a voyage from New London, Connecticut to Cape Cod Bay which was slowed dramatically by adverse currents and a lack of wind. Arriving very late one night at Cuttyhunk Island, we determined that the delays had almost entirely depleted our food supplies. After rummaging through the storage locker, my father declared that what remained were nine Saltine crackers and two bottles of wine. For dinner, he placed one bottle of wine on the table in front of me and pushed five of the nine crackers my way. I had begun that day as a 14-year-old boy, but when I woke up the next morning, I had no doubt that I was now a man. Several years later, we talked extensively about buying a Beneteau and sailing it back from Saint-Gilles-Croix-de-Vie, France, but this adventure never came to fruition. Ironically, while my mother was a teacher, journalist and quite adept at communicating, my father preferred to use language as a puzzle, where he would leave a minimal number of clues and see if the recipient of those clues could find his or her way to the finish line. Dubbed “The Great Communicator” by some of those who spent extended periods in his verbal labyrinth, when he wanted to my father could be an expert writer or orator, but when he preferred to get overly creative with language, he typically lost most of his audience in a hurry. As much as my father provided advice and counsel for countless family and friends, very little advice was aimed in my direction. One piece of advice I did hear over and over again was, “Keep your options open.” I have always attached a high degree of value to having options in life, but I often smile at the thought that a large part of what I do professionally is sell options to those who place a higher value on them than I do. On a somewhat related note, when I was a child, my father was keen on having me play chess with him. I received no leniency, coaching, hints or advice of any kind while losing literally thousands of matches. Eventually, I was able to learn enough to win consistently and in the process also learned how to figure things out for myself, the value of tenacity and many other life lessons. Only after his passing did I find an old yearbook and discover that he was the chess champion at his high school. Needless to say, without his hand, I would never have developed some of the skills that I enjoy today. Dad, wherever you are, I hope that the journey is smooth sailing and the wind is at your back.